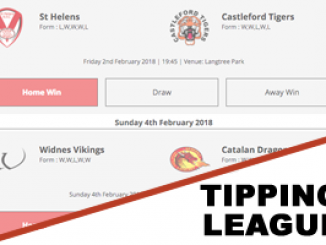 It was a huge weekend of action in Rugby League, with Castleford Tigers and Leeds Rhinos booking their place in the Super League Grand Final while Leigh Centurions will be plying their trade in the Championship in 2018. 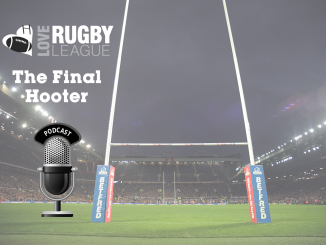 Ahead of the semi-finals taking place, there was a lot of talk about whether League Leaders’ Shield winners Castleford Tigers could handle the big game pressure. They have come on leaps and bounds since Daryl Powell came in back in 2013. The West Yorkshire outfit won the Championship Grand Final in 2007 and just 10 years later, they have made the Super League Grand Final. This season has been the best in the club’s history but questions were raised as to whether they could go all the way but they certainly proved that on Thursday as they beat St Helens in golden point extra-time. They kept their cool and sealed their place at Old Trafford in the 86th minute! Luke Gale returned to action to play in a Castleford’s semi-final clash with St Helens on Thursday, just 16 days after having an appendix removed. 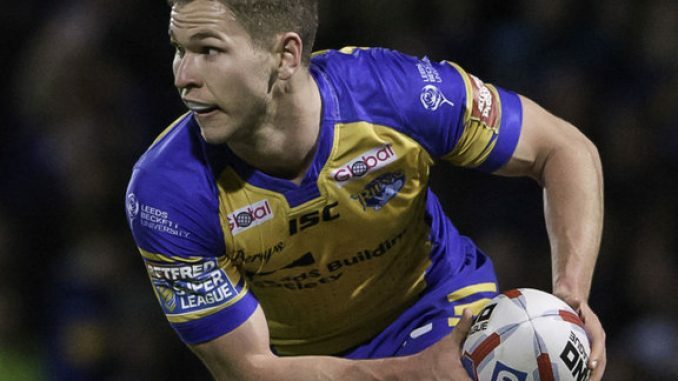 Everyone expected him to play seeing as it was a semi-final but it should be recognised that playing Rugby League just two weeks after having an appendix removed takes some guts – literally! 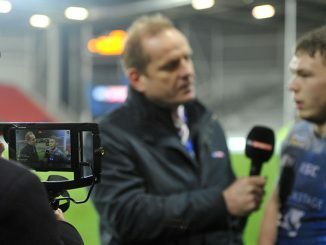 He effectively won the game for Castleford. He kicked a penalty goal to make the score 22-22 with two minutes to play and then kicked the decisive one-pointer in the 86th minute which confirmed that they were going to Old Trafford for the first time. Gale put in an admirable performance and has been a consistent performer throughout the season and is the favourite to pick up the Steve Prescott Man of Steel award. 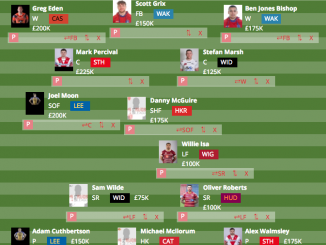 And the prospect of a half-back partnership between St George Illawarra Dragons’ Player of the Year Gareth Widdop and Gale for England at the World Cup is mouth-watering. Barrow Raiders beat local rivals Whitehacen 10-6 in the League 1 Promotion Final at Craven Park on Sunday afternoon. Paul Crarey’s Raiders will play in the Kingstone Press Championship in 2018 and there were 3,128 fans in attendance. It was a great game and a tightly contested affair for the 80 minutes and having a big attendance figure was fitting for Cumbrian Rugby League. The sport in that particular area has been forgotten about in recent years but with Barrow, Whitehaven and Workington Town all finishing in the high end of the League 1 table this year, Rugby League in Cumbria is definitely back on the climb. Scotland Rugby League also have a big following in the area and always attract good numbers when they play at Derwent Park. The community game remains solid there as well with Wath Brow Hornets and Egremont Rangers continuing to thrive. Toulouse Olympique won the Championship Shield Final by beating Sheffield Eagles 44-14 at the Stade Ernest Argeles on Saturday. The French club were unlucky not to make the top four and compete in the Qualifiers, they were denied by Halifax’s red-hot form in the last couple of weeks in the regular campaign, who then pipped them to the fourth and final spot. Sylvain Houles’ Toulouse side put in a clinical display against a strong Sheffield though and showed that they are ready to compete a higher level and ultimately, a place in Super League. They made a real statement of intent earlier on in the season when they announced the signing of Huddersfield Giants and New Zealand forward Sam Rapira for 2018. 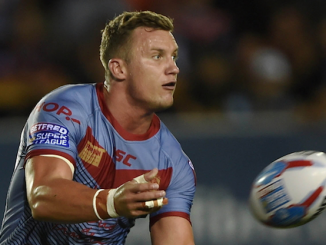 It will certainly be interesting to see how they handle themselves against the likes of Leigh Centurions, London Broncos and Toronto Wolfpack in the second-tier.